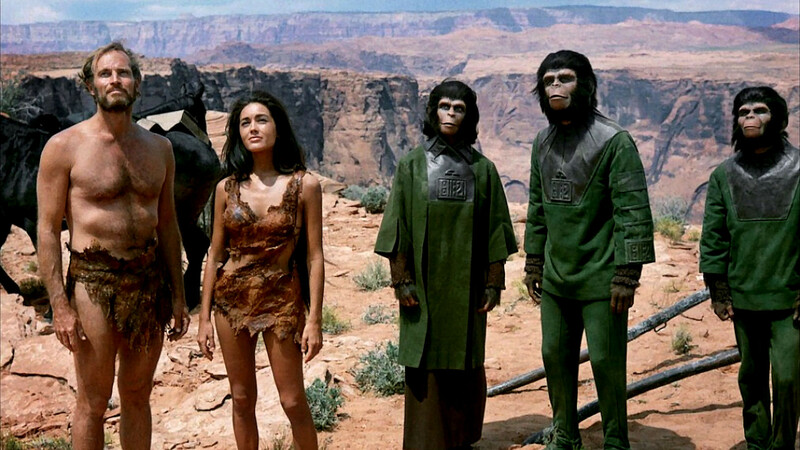 Planet of the Apes was not some dry, intellectual exercise. It was a fantastic and exciting adventure film with splendid cinematography, set designs and make up. Sure, the make up by John Chambers is primitive today but it was revolutionary back then and Chambers justifiably won a special Oscar for his work in creating convincing talking apes. The film stood apart from other juvenile sci-fi films of that era thanks to its smart script (by Michael Wilson and Rod Serling—yes, that Rod Serling) and direction by Franklin J. Schaffner. Originally the script by Serling lacked much of the ironic humor of the final film and the ape society was considerably more advanced as in Boulle’s book. After undergoing several rewrites, it was Schaffner’s idea to have the ape society be more primitive in order to save money. This ploy worked since the primitive society a more alien and inhuman look. Thus, it was a true shock for audiences back then when Taylor discovered the truth about the world. SPOILER: Is it a spoiler for a 50-year-old film to state that he was on a post-apocalyptic Earth all along? His discovery and reaction is one of the greatest moments in film cinema and the final shot of Planet of the Apes is still iconic to this day. A major driving force for Planet of the Apes and its sequels was producer Arthur P. Jacobs, who helped guide the franchise into a successful film series. After the huge success of Planet of the Apes, naturally more films followed, which turned into prequels of sorts. 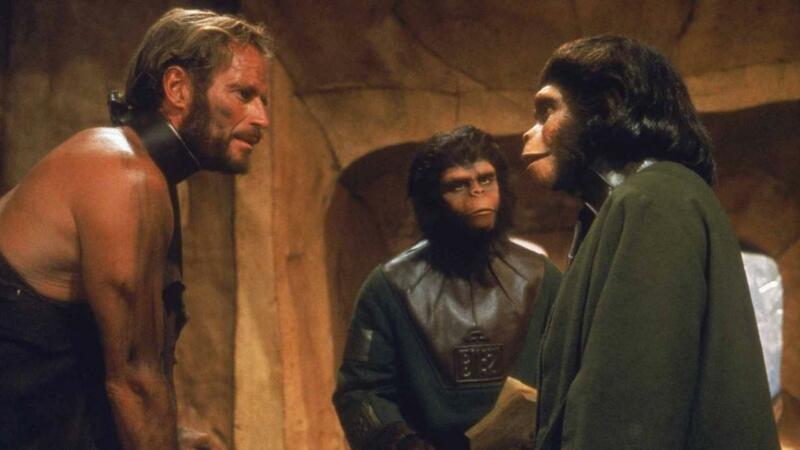 They were hit and miss in terms of quality, but they were entertaining and logically progressed the Apes saga. Before Star Wars changed our lives, Planet of the Apes served as a prototype of a branching cinematic franchise with extensive merchandising including wonderful toys, books, clothing, games, comic books and TV shows (which could be considered canon in the ape saga). The popularity of Planet of the Apes dimmed after some time, especially after Star Wars entered our pop culture consciousness. However, it still has its fans and its core concept still works as seen with the recent trilogy of Planet of the Apes films (Rise of the Planet of the Apes, Dawn of the Planet of the Apes and War for the Planet of the Apes). This recent trio is considered one of the greatest film trilogies of all time and nicely sets up the initial premise of the very first Planet of the Apes film. 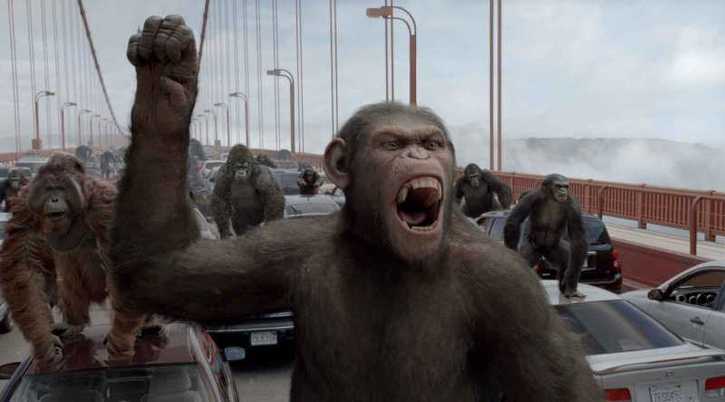 At this point, the Apes saga will continue to fascinate fans for ages to come. A wonderfully written and thought provoking piece of one of my all-time favourite films and one of my absolute favourite SF franchises (second only to Star Trek) – I own all of the films, both tv series (yes, even the animated one! ), read Boulle’s original novel and collect the Boom Studios comic books. What’s great about this post though is the analysis, in all this time (and now I feel stupid) I had not really considered the civil rights allegory so you have given me some new insight that will make me enjoy the film even more! Thank you so much, I’m glad there are others out there who still love this franchise. It actually set the template for other franchises like Star Wars and the MCU. But it’s worth noting that the Planet of the Apes films and their spinoffs for the most part not only still hold up today and are relevant but as the recent trilogy proved, is a dynamic enough property that can be re-imagined and examined in new ways.